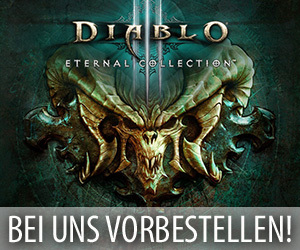 Im Verlauf des gestrigen Abends haben die Mitarbeiter von Blizzard Entertainment den nächsten Content Patch für Heroes of the Storm auf ihren öffentlichen Testserver aufgespielt, der dort nun allen daran interessierten Personen bis zum 12. Juni 2017 (1 Tag vor seinem Release) zum Testen zur Verfügung stehen wird. Gleichzeitig damit veröffentlichten die für diesen Team Brawler verantwortlichen Entwickler praktischerweise auch wieder offizielle englische PTR Patchnotes zu diesem kommenden Update auf ihrer Communityseite, die ganz genau auflisten, was für Inhalte dieser bald erscheinende Content Patch eigentlich mit sich bringt. Dieser informativen Übersicht zufolge beinhaltet dieser kommende Patch neben den üblichen Fehlerbehebungen und Balanceänderungen auch noch den neuen spielbaren Helden „Malthael“, das Cross-Promotion Event “Malthaels Handel”, eine Reihe von neuen kosmetischen Gegenständen, neue Artworks für einige Ladebildschirme, Verbesserungen für das Interface und Anpassungen an der Rotation der Spielfelder. Folgend könnt ihr euch diese englischen PTR-Patchnotes nun selbst durchlesen. Our next Heroes of the Storm patch has just arrived to the Public Test Realm and will be available for playtesting until June 12. During this time, we kindly request your assistance in trying out some of the new content it contains before we officially release the patch to the live version of Heroes. Just like last time, if you encounter any bugs or other issues during your PTR play sessions, please stop by the PTR Bug Report forum to let us know about your experiences. Earn epic in-game rewards in both Diablo III and Heroes just by playing Heroes of the Storm with a friend! The event begins during the week of June 12, and lasts until June 26. Click here to learn more about Malthael’s Bargain. Once the Aspect of Wisdom, Malthael abandoned heaven after the Worldstone’s destruction. In secret, he had resolved to end the Eternal Conflict by becoming a Reaper of Souls and eliminating everything affected by demonic corruption, including humanity. Basic Attacks afflict non-Structure targets with Reaper’s Mark for 4 seconds. Marked enemies are revealed and take damage equal to 2.5% of their maximum Health every second. Extract the souls of nearby enemies afflicted with Reaper’s Mark, dealing damage and Healing Malthael for a portion of the damage dealt to each target hit. Heroic targets heal Malthael for an additional 3% of the Hero’s maximum Health. Instantly teleport through an enemy afflicted by Reaper’s Mark, dealing damage and refreshing Reaper’s Mark. After 0.25 seconds, unleash a wave of dark mist that applies Reaper’s Mark to the enemies it hits. Gain 20 Armor and unleash a torrent of souls, continually applying Reaper’s Mark to enemies for 4 seconds. Apply a death sentence to an enemy Hero that, after 2 seconds, deals damage equal to 50% of their missing Health. (!) Repeatable Quest: Enemies killed while under the effect of Last Rites permanently reduce its cooldown by 5 seconds, to a minimum of 15 seconds. New loading screen art, created by artist Alex Horley, has been added in celebration of Malthael’s arrival to the Nexus. A generic marker has been added to indicate when enemies can be killed by an ability. This marker will appear above low-health enemies for Greymane and Malthael when Go for the Throat or Last Rites will deal fatal damage to the target. Tracer’s Basic Attacks have received performance improvements. Genji’s Dragon Claw button art has been updated to make progress easier to read at a glance. Holding SHIFT + left-clicking an Announcer, Banner, Emoji, Portrait, Spray, or Voice Line in your Collection will now create a chat link that directs other players to that item. If an item does not have its own page, the link will open to the relevant category in the Collection with that item’s title in the search bar. A “Close to Leveling” sorting option has been added to non-draft Hero Select and the Profile’s Roster tab. Use this sorting feature to quickly locate Heroes who require the least amount of XP in order to level-up. When two or more Heroes are tied, those Heroes will be further sorted by release date. A Force Move command has been added to the Basic Hotkeys menu. When a Hero receives a Force Move command, they will move to the target point without attacking any units on the way or anything that was clicked when the command was issued. Heroes who attack while moving, like Tracer, will continue to attack enemies during a Force Move command. However, while using these Heroes, Force Move commands will prevent players from clicking a new target or accidentally switching from the locked-on target. ALT, CTRL, and SHIFT can now be set as Modifiers for Basic Hotkeys (Q, W, E, R, Attack, Move, etc.). New Mastery Taunts have been added, and can be unlocked on a per-Hero basis by reaching Hero Levels 25, 50, 75, and 100 with that Hero. Click here to learn more about Mastery Taunts. 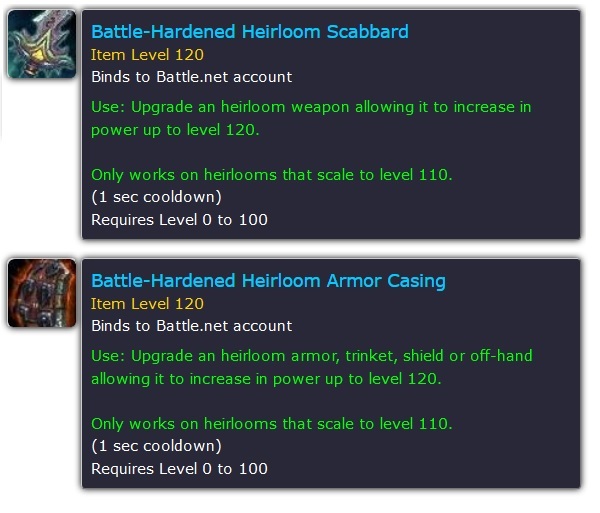 Hero Levels that grant multiple progression rewards will no longer take up two or more slots in the Quest Log. Instead, hovering the cursor over that slot will now display a tooltip that communicates all rewards granted upon reaching that level. For example: Hovering the cursor over an upcoming Hero Level 10 reward will indicate that the player will receive 500 Gold and a Hero-Specific Loot Chest. Lessened personal rank adjustments in both Hero and Team Leagues, which will allow players’ ranks to move more quickly during win or loss streaks. Team League matchmaking will now allow players to wait indefinitely until the system finds a reasonable match for their skill level. When average queue times for 2-player parties in Team League become lengthy, the leaders from additional 2-player parties attempting to enter the queue will see a warning message that they may be in for a long wait. When this occurs, the party leader can choose to enter the lengthy queue if they are willing to wait, or cancel the queue to find additional party members and get a match more quickly. Thanks for sharing your Map Rotation feedback with us! As a result of community-driven discussions, we’re making all 13 Battlegrounds available for play in Versus A.I., Quick Match, and Unranked modes. Hero and Team League are now the only game modes that will feature a Map Rotation. A new Map Rotation icon has been added to the Ranked Play screen. Hover the cursor over the Map Rotation icon to display a list of all Battlegrounds currently available in Ranked matchmaking. Find the Map Rotation icon next to the Grand Master Leaderboard and Ranked Guide buttons. Activate to teleport a short distance and deal 50 damage to enemies in the area. Enemy Heroes hit give Kerrigan 300% of the damage dealt as Assimilation Shields. 70-second cooldown. Each enemy hero hit by Feral Spirit grants 2 charges of Block, granting 50 physical armor. Lasts until consumed or Feral Spirit is cast again. !Quest: Hit 7 heroes with Feral Spirit. Progress is reset upon dying or if Feral Spirit doesn’t hit at least one enemy hero. When Mana Tide procs, now also reduces basic ability cooldowns by 0.5 seconds. !Quest: Attack enemy heroes while Windfury’s movement speed bonus is active. !Quest: Attack 20 enemy heroes while Windfury’s movement speed bonus is active. !Quest: Attack 40 enemy heroes while Windfury’s movement speed bonus is active. Reward: Permanently gain 15% increased movement speed. Each time Frostwolf Resilience activates, Thrall gains a stack of Ancestral Wrath, up to a maximum of 8. Activate to consume 8 stacks of Ancestral Wrath, stealing 15% of target hero’s maximum health over 3 seconds. Thrall heals for 150% of this amount over 3 seconds. Every 45 seconds, gain 50 Spell Armor against the next enemy ability and subsequent abilities for 1.5 seconds. Triggering Frostwolf Resilience reduces this Cooldown by 5 seconds. !Quest: Cast Chain Lightning on a hero. Dying or casting it on the same hero twice in a row resets progress. Reward: Chain Lightning slows targets by 8%, stacking up to 40%. !Quest: Reach a 40% bonus slow. Reward: Chain Lightning deals 25% more damage to the primary target. This quest never completes and will reset even at maximum stacks. Increases root duration from 1 to 1.5 seconds. For 3 seconds after being hit by a Feral spirit, Thrall’s basic attacks deal 3% of the targets maximum health. Entangling Roots also spawns a Treant that lasts for 10 seconds. Slow effect has been removed. When activated, channel for 1 second and then instantly teleport to the target location and cast Twilight Dream. This shares a cooldown with Twilight Dream. Damage bonus has been removed. While active, Gorge has increased range and can be repeatedly recast until the first target is expelled. Gorging a target outside of melee range will teleport Stitches to the target. Basic Attacks against enemy Heroes heal Stitches for 5% of his maximum Health. Golden Treasure Goblin – Can only be unlocked using Gold. Available for a limited time. Battle Raptor Mounts – Awarded to players who achieved Platinum in Hero League or Bronze in Team League during 2017 Ranked Season 1. 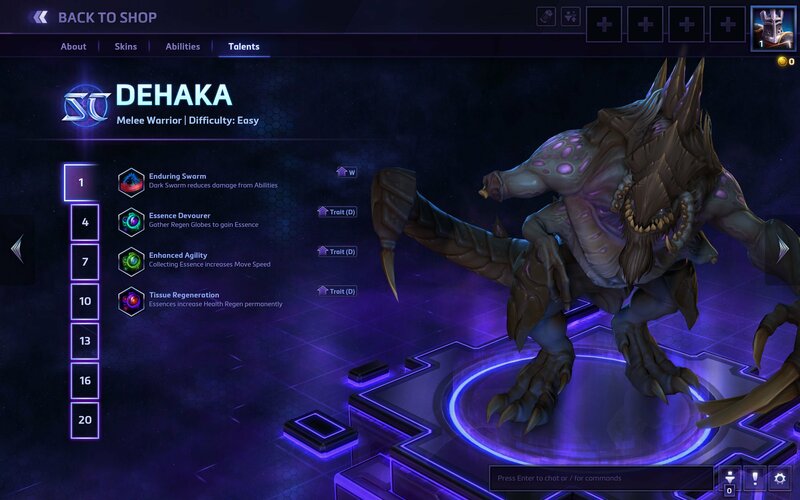 Epic Battle Raptor Mounts – Awarded to players who achieved Master in Hero League or Team League during 2017 Ranked Season 1. Hanamura: A.I. players will no longer pace back and forth near the payload when a Stealthed enemy Hero is nearby. 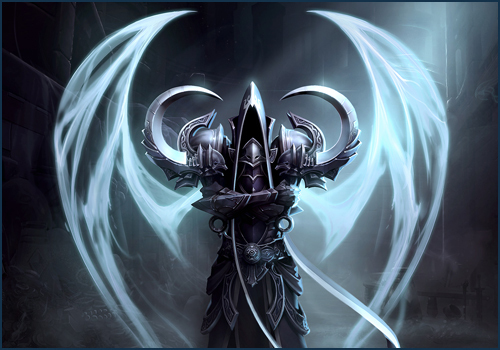 Diablo: Prime Evil Diablo’s model while no longer freeze in place during its victory animation. Tyrande: Trueshot Aura will now correctly display visual effects on the terrain when graphics are set to Low. Cursed Hollow: A small shadow will no longer appear at the location where a new Tribute is about to spawn when graphics are set to Low. Hanamura: The Mega Enforcer will no longer leash after consuming a Hero. Hanamura: When the player is not holding an item, the Map Mechanic Ability button tooltip now correctly explains that Hanamura-specific Abilities can be earned by defeating Mercenaries. Hanamura: Map Mechanic Turrets can now correctly attack the Mega Enforcer and Mercenaries. Towers of Doom: Capturing an Altar will now properly reset that player’s AFK warning timer. Try Mode: The Complete Quests button will now properly complete Gazlowe’s Clockwerk Steam Fists Quest Talent. Try Mode: Complete Quests will now properly grant Ragnaros’s Catching Fire Quest Talent rewards. Try Mode: Refresh Forts will no longer cause the cooldown timer above the Healing Fountain to disappear. DoT Effects: Enemy Health bars will now correctly display damage over time effects after being hit by Swift Strike with the Strike at the Heart Talent. Anub’arak: An active Cocoon will no longer be destroyed if it is moved by Abilities that block pathing, such as Tyrael’s Holy Ground or Tassadar’s Force Wall. Illidan: Evasion will no longer prevent damage over time effects from displaying on Illidan’s Health bar. Kharazim: Duration bars for Echo of Heaven and Deadly Reach will now appear simultaneously if both are active at once. Nazeebo: The tooltips for Nazeebo’s Voodoo Ritual Trait now properly indicate that it contains a Quest. Nazeebo: Silencing the Zombies that were created by Zombie Wall with the Dead Rush Talent will no longer prevent them from uprooting. Ragnaros: Empower Sulfuras’s animation will no longer play without dealing damage if the attack was cancelled by issuing Movement Commands. Stitches: Hook can no longer pull Stealthed enemy Heroes through allied Gates. Tassadar: Fixed an issue causing the first tick of Psionic Storm to deal slightly less damage than intended. Tassadar: After learning Prismatic Link, Basic Attacks that bounce to a secondary target will now properly reveal that enemy. Valeera: Wound Poison’s reduced Healing debuff will now correctly display a red plus symbol next to the affected Hero’s status bar rather than a purple plus overhead. Varian: The cooldown for Victory Rush will now be properly reduced when nearby Monsters are killed. Collection: Brightwing will no longer play voiceover when navigating away from her Hero page in the Polish game client. Genji: Dragonblade voiceover now plays correctly and will no longer be interrupted by other sound effects. In-game: Zul’jin’s You Want Axe? Quest Talent will not appear complete on the in-game Score Screen’s Talents tab prior to reaching 120 stacks. Mastery Taunts: Players who have Mastery Taunts will no longer receive Desync errors when loading into a game. Quick Cast: The Quick Cast setting for Varian’s passive Heroic Strike Trait has been removed from the Quick Cast Settings menu.